An online flower shop can prove a fast way to break into the floral business without starting the business from the ground up. You will have no need to find the perfect location just to reach your customers. Instead, you can easily start online and get your products out on the market. Flowers make a great gift for any holidays and celebrations throughout the year. Choose a name for your online flowers shop. Purchase a domain related to flowers so people can find the website when they search online. Incorporate words related to flowers, floral arrangements or plants, such as “carridesfloralshop.com” or “carridetheflorist.com.” Learn the rules and regulations of starting an online business. See if you must obtain any local, county or state permits when opening an online flower shop. Create a vision for the website. Sketch how you want the website to look and hire a web designer. Allow her to create your vision and ensure it focuses on your products and allows visitors to easily place orders. Compile high-quality sets of photos of your products and floral arrangements, and then place them on the website for potential customers to view. Outline your prices and include a brief description for each arrangement. Price your products competitively. You will find many other flower shops online, so do a little research and see how they market their goods. Most offer package deals with other incentives. Plan a marketing strategy that allows you to compete with other shops and gives people reasons to should choose your floral shop over competitors. Ensure your gift baskets stand out from the competition. Open an online merchant account, which allows your customers to collect payments from credit and debit cards or directly from a customer’s account. Research options and use the one that suits your site. 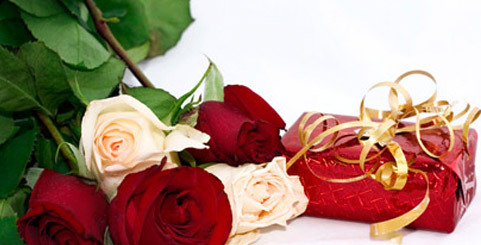 Ensure you have a reliable supplier of flowers. Search for a local supplier with high-quality products at acceptable prices who can deliver on time. Provide a FAQ (Frequently Asked Questions) page with shipment details, warranty and contact information. Customers like to know they can communicate with the merchant. Provide clear and precise answers to every question. Try to anticipate problems that may arise and provide ways to address them. Decide on your form of shipment. If you decide to send flowers outside your state, ensure you have the best method to ship the flower arrangements freshly and safely. Start advertising your online floral shop. Create ads both online and offline in various print media that cater to your customer base. Place an ad in your local newspaper, and register the site on search engines and directories. Provide business cards every time you make a shipment. Manage and learn how to provide more traffic to your website. Increase sales by adding valuable knowledge to the website. Aside from selling, allow customers to know you have extensive knowledge of the industry. Provide articles about the latest flower trends, flower arrangement ideas and tips on how to keep flowers fresh longer. This adds credibility to the website and your whole company.